"it's a bird....it's a plane....it's...it's........."
Iron Man possesses powered armor that gives him superhuman strength and durability, flight, and an array of weapons. As you can see, the weapons systems of the suit have changed over the years. The armor is invented and worn by Stark (with occasional short-term exceptions). 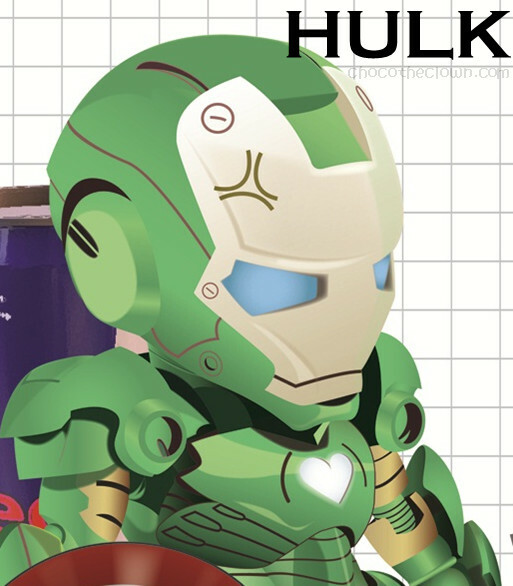 Stark has modified suits, like the Hulkbuster heavy armor.The Hulkbuster armor is composed of add-ons to his so-called modular armor, designed to enhance its strength and durability enough to engage the Incredible Hulk in a fight. A later model, designed for use against Thor, is modeled on the Destroyer and uses a mystical power source. Now, how about a twist this time? Alright, so this is my way and my customize I r o n M a n suit and I would name it "HATI"
and what HATI stands for? "Everything starts from a great heart!!!" That's the most important part being a HERO....right? Basically the idea of HATI was inspired by the characters from Marvel Comics. It can both be thrown as a weapon, and defend against others' weapons! enabling him to deflect bullets with his hammer! and here's the combination of everything!!! Iron man:"FUYOOO....why give me pegang so many stuff????" The new suit requires more STAMINA!!!! "RED BULL GIVES YOU WINGS"